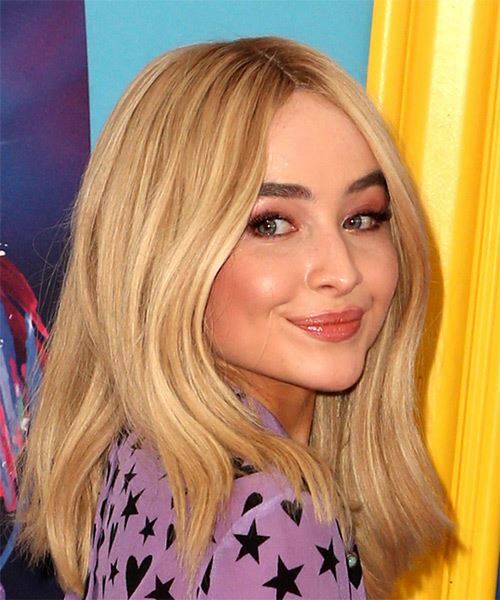 Sabrina is rocking this long blonde bob. 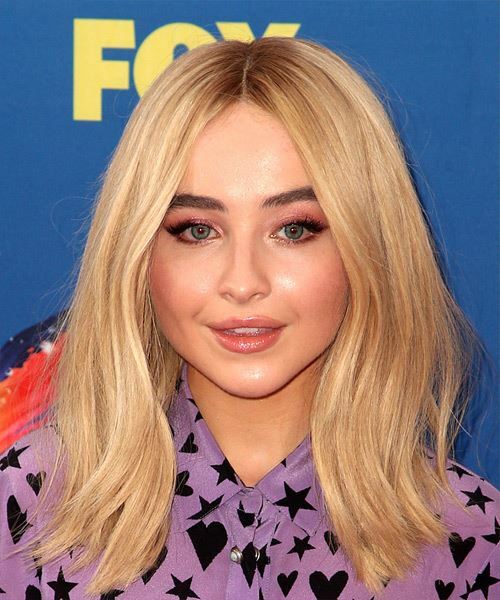 Her hair has been layered in the front to allow her hair to shape her face nicely and put the highlight on her forehead, cheekbones, and chin area. The hairstyle is meant for straight hair so if you have wavy hair, you are going to need to straighten your hair to achieve this desired look. To finish off this hairstyle, you can create a natural makeup look whereby your accent color will be on your eyes or lip area. This hairstyle is suitable for most ages, thin to medium thick hair and it will take you less than 30 minutes to style your hair in the morning. Keep in mind you are going to need to cut your hair every 6 or so weeks to keep this hairstyle looking fresh and new. Starting above your ear and working your way up to your part, take a small to medium section of hair and clamp it between the barrels of your curling iron. Hold the hair for 5 to 10 seconds and then release.